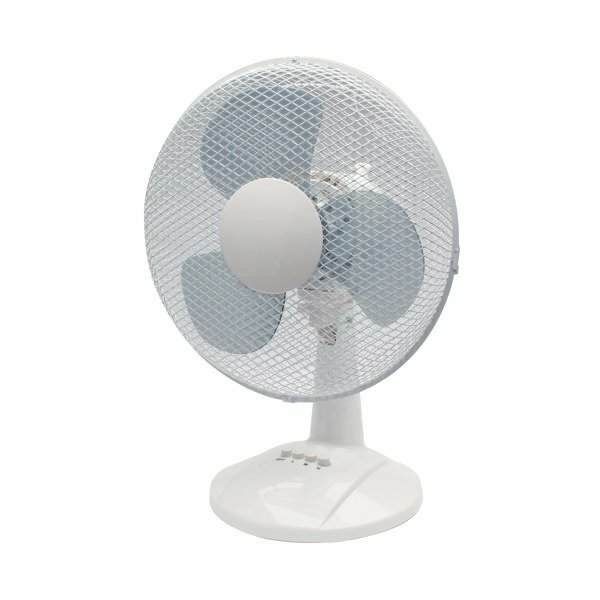 This mains-powered fan features a sturdy desk stand that keeps it stable during use. You can manually tilt the fan to suit your needs and the automatic oscillating function rotates the fan head back and forth to provide cooling to an entire room. The adjustable controls let you select between three fan speeds to suit your preferences.